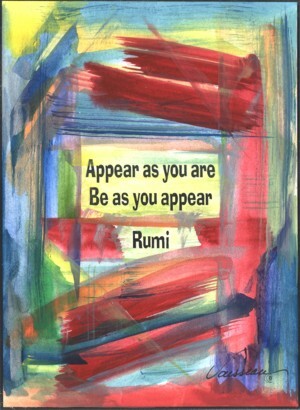 5x7 poster of Rumi wisdom, "Appear as you are, be as you appear" with art by Raphaella Vaisseau. Rumi's words speak to the mystical concept that authenticity is paramount to self-realization. Be authentically who you are. Express truth.